When the news of Saman Kunont’s death reached his trail-running teammate Ryan Blair, he was not surprised his friend had met such a heroic end. 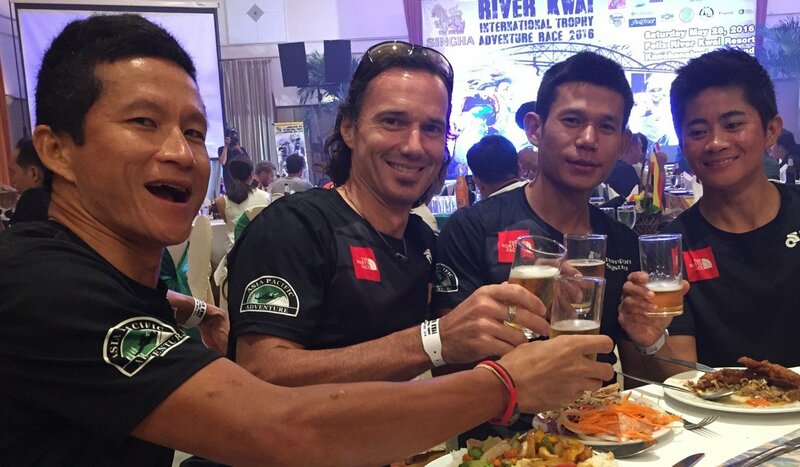 Kunont (also known as Gunan or Kunan), who along with Blair was part of the North Face Adventure Team, was one of Thailand’s top trail runners and a former Navy Seal diver. He made his way through a submerged cave to bring oxygen to the junior football team and their coach, who had become trapped when rain flooded the cave they were exploring. Kunont then ran out of oxygen on his way back to the entrance, highlighting to the world just how hard it would be to rescue the untrained boys, all of whom have now been safely extracted. “His death helping others is so tragic but also so fitting. He spent much of his life helping others,” said Blair, pointing to Kunont’s work as a Seal, as a security expert and bodyguard, and in teaching youths and helping his teammates. Kunont’s death has brought memories flooding back to Blair and one in particular springs to mind – his misadventures on Hong Kong’s famous 100-kilometre Oxfam Trailwalker. The Thai was running support for The North Face team and was supposed to accompany them for two sections amounting to 35km. “When his second leg ended at Shing Mun reservoir he was supposed to stay with our car support crew but he was still so excited to help he did not stop. He kept running and running until his legs gave out,” Blair said. “We suddenly noticed he was gone but by then it was dark and he was in the middle of Tai Mo Shan region and beyond with no headlight, jacket or map. He had just arrived Hong Kong for the first time and only spoke Thai,” Blair recalls. 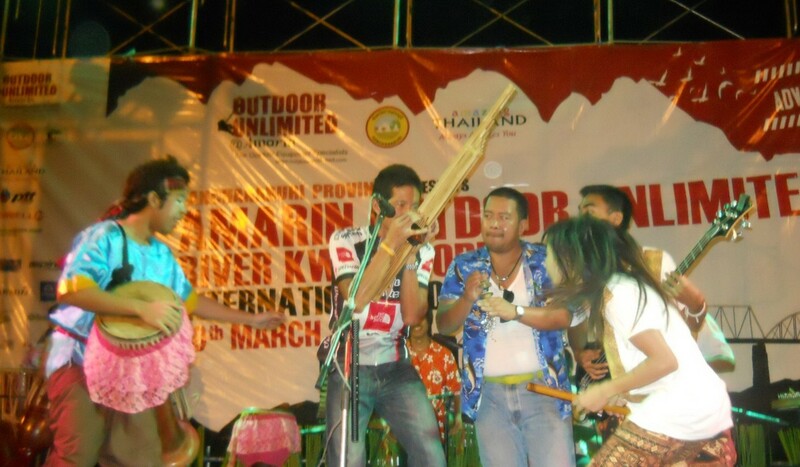 Another time, Kunont and Blair were celebrating a team win at the 2012 River Kwai Trophy in Thailand when the organisers started playing Isaan music from his home region. Kunont joined The North Face team in 2012 after competing against Blair in 2010. Blair was in the lead with another team member, but they were “melting and suffering under the Thai sun”. Suddenly Kunont overtook them still smiling; it was not long until he was invited to join The North Face. 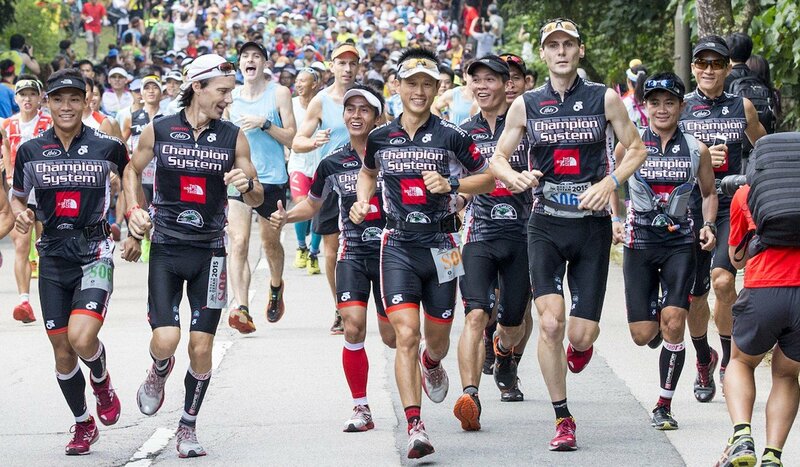 Blair ran the Force of Nature Ultra last weekend in Singapore and dedicated it to his friend. Teammate Wong Ho-chung won in Kunont’s name. It was a small gesture, but a poignant one and moving in the context of the thousands of runners who donated money to Kunont’s family. 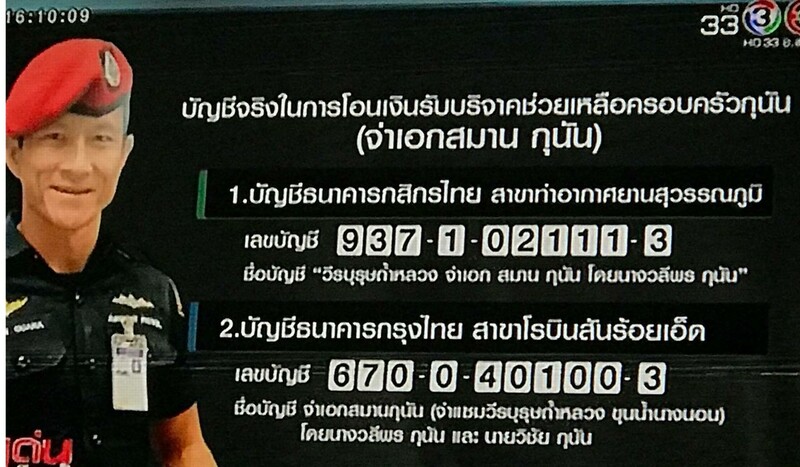 His sacrifice has touched the world, and even the King of Thailand is contributing to his funeral. Blair said Kunont was unique and passionate, and you would always know when he was running.